Science fiction didn’t do a great job in preparing us for our first real encounters with AI. Most people probably still envision AI in the form of a sentient robot that can talk, move around, and experience feelings – something like WALL-E or C-3PO from the movies. Although that still may be the dream, it turns out that the current iteration of AI is actually quite different. With modern AI, all the “thinking” gets done in the cloud, and the algorithms aren’t tied to the identity of a physical machine like we would have expected from the big screen. The modern iteration of AI works silently in the background without a face, and it’s starting to impact everything it touches. It’s also set to transform our economy at warp speed. Today’s infographic from TechJury helps you understand the context around this emerging force. 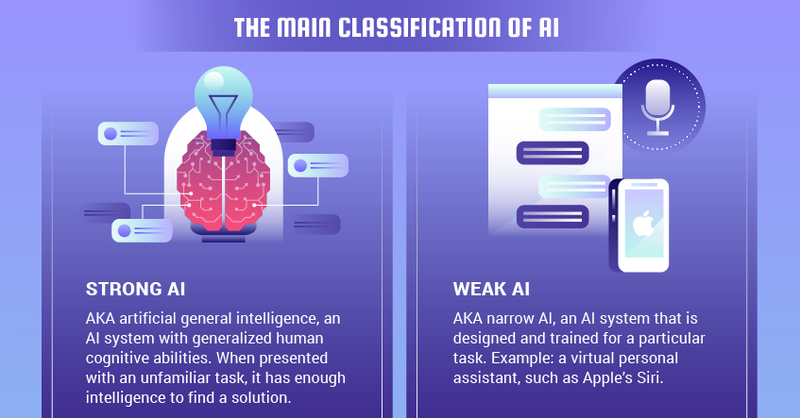 Entitled “The AI Revolution”, it covers the brief history of AI, the industries that will be affected, as well as some key AI statistics that are likely to catch your eye. Note: The infographic references a chatbot named Eugene Goostman that allegedly passed the Turing Test in 2014. Please note that this is a very contentious claim: while it did fool 33% of judges that it was a human, many experts object to the claim for a wide variety of reasons. Artificial intelligence is here and it’s transforming our economy. One estimate by PwC puts the global impact of AI at $15.7 trillion by 2030, while Accenture says that AI could double the rate of economic growth in developed countries by 2035. If either of these two predictions come true, it will mean big change for almost every industry. What does it look like when AI takes the world be storm? So while the AI revolution is not led by the identifiable face of a friendly (or antagonistic) robot in a physical form, experts agree that impact of AI on business will be profound. See how the prevailing myths about AI in the workplace have been debunked, to learn even more on the subject.